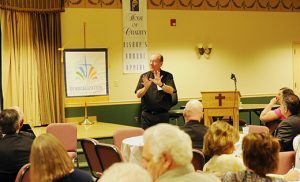 On April 19, 100 attendees from 27 parishes, comprising priests, deacons and lay parish leaders, took part in a “New Evangelization Strategies” all-day workshop at Saint Charles Borromeo Parish in Sicklerville. 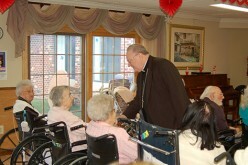 Father John E. Hurley, CSP, commissioned by Pope Francis as a Missionary of Mercy for the current Jubilee Year of Mercy, was the guest speaker for the day. 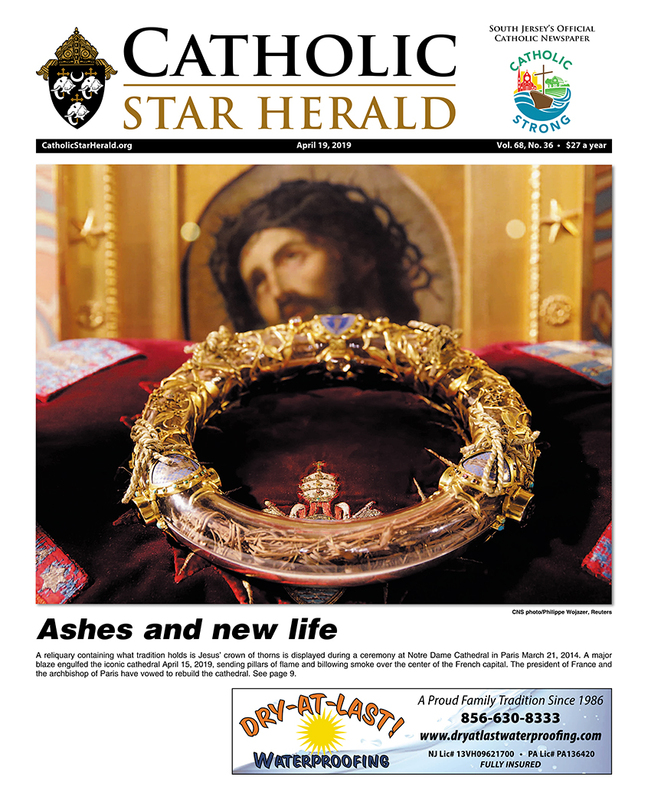 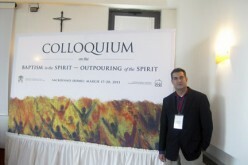 He “gave spiritual and practical tools for how parishes can be mission-oriented, and how their ministers can be formed into authentic, mission-driven disciples,” said Andres Arango, director of the Office of Evangelization, which sponsored the event. 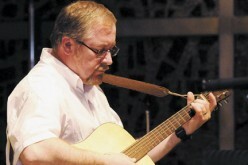 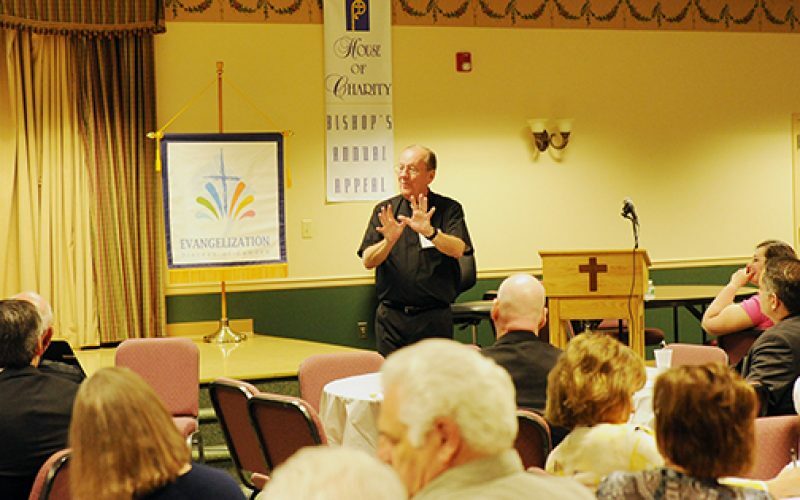 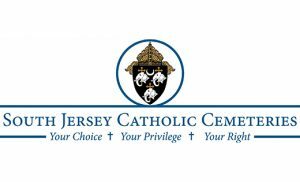 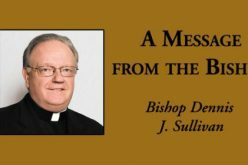 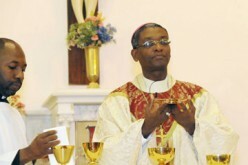 Father Hurley will return to the diocese in June to give a talk on “Evangelizing Through Mercy” at Saint Joseph, Somers Point (Thursday, June 7); Our Lady of Peace, Williamstown (Friday, June 8); and Saint Charles Borromeo (Friday, June 9). All evenings are from 7-9 p.m. Priests, pastoral councils, evangelization teams, parish staff, and parishioners are all invited to attend.